Celts in Britain used to celebrate the shortest day of the year by feasting. To cleanse the air of the previous year’s events and to usher in the return of longer days, people burned a log of wood, decorated with ivy and pine cones. The log had to originate preferably from a fruit tree trunk, which was supposed to guarantee a good harvest for the following year. In some regions, the wood was sprinkled with wine to ensure a good vintage or with salt for protection against witches. The ashes were then scattered into the fields to fertilize the land. Although the dessert’s exact date of birth is still unknown, one of its earliest recipes can be found in “The English Huswife”, a book by Gervase Markham, published in London in 1615. 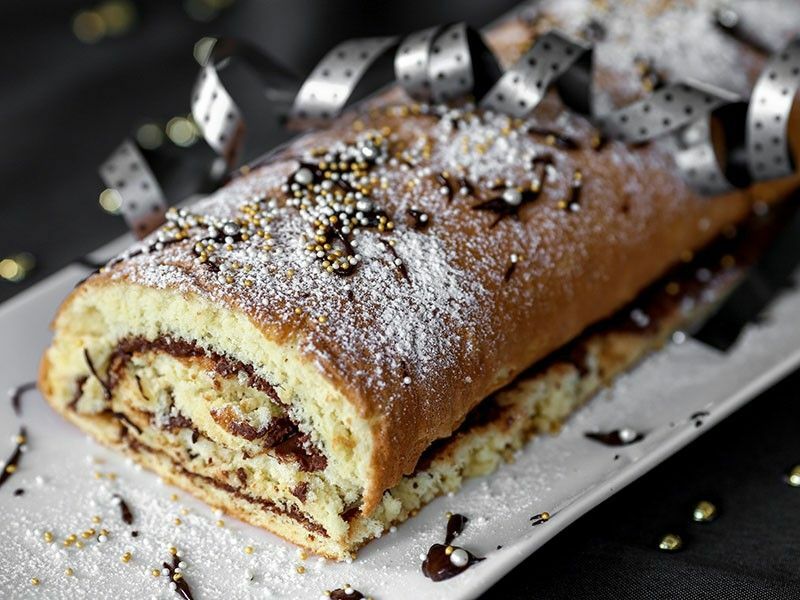 In the 19th century, the Yule log was already a tradition in many French regions. It was made with a sponge cake base, on which was spread cream flavoured with chocolate, coffee, Grand Marnier, (etc.) that was then rolled into the shape of a log. The entire log was finally coated with a thin layer of butter cream. These days, all sorts of flavours and decorations are now possible. We invite you to try out our Chocolate Christmas Log recipe. Since it’s already quite rich and tasty, we simply sprinkle it with cocoa powder, and it requires no icing. For a gluten-free dessert, we propose Caroline Roy’s Choco-Raspberry Christmas Log recipe.